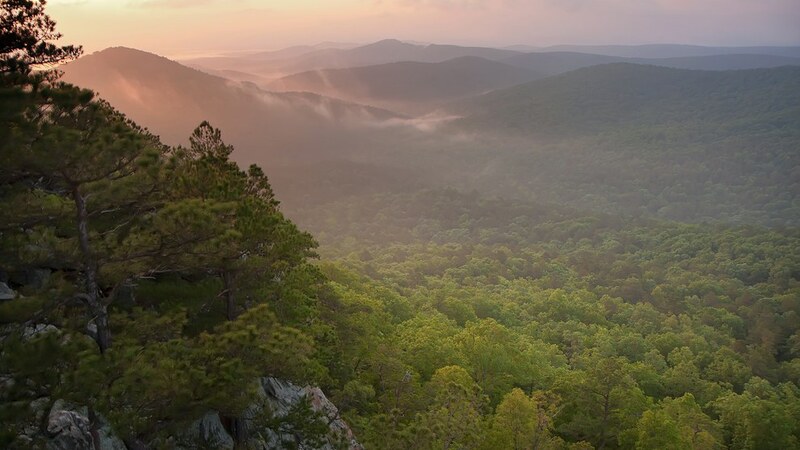 Being outside of Little Rock only 30 miles, Flatside Wilderness is one of my primary stomping grounds. I can be there within 45 minutes, or less on a good traffic day, and be shooting at the top. So it is a prime location for catching a sunrise/sunset at the last minute. I absolutely love the character of the hills there as well. They embody all that is the Arkansan Ouachitas. All I have to say in response to that is, if you’re enjoying climbing pinnacle, why not venture out just a few miles further and enjoy the solitude as well! Check out Flatside Pinnacle, it’s an amazing location for catching a great sunrise, or if you’re not a morning person, a sunset. The great thing? It’s not far from home!